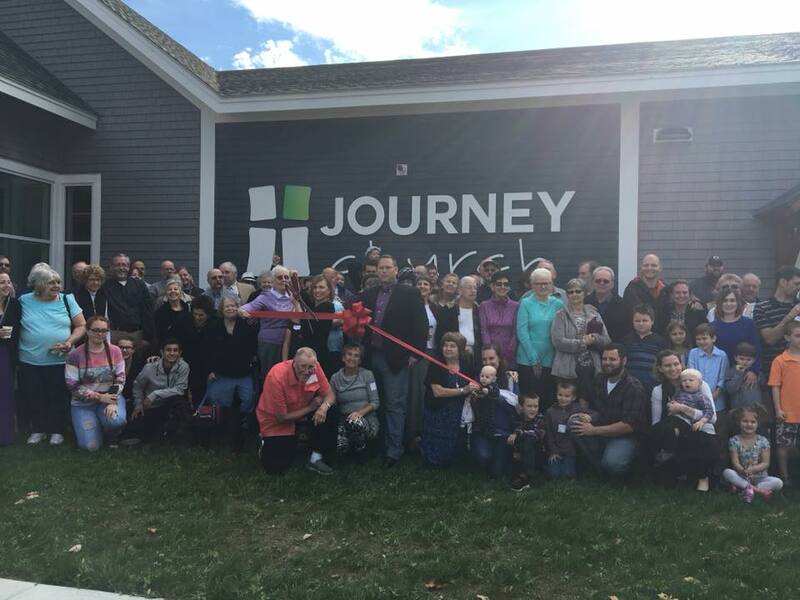 On September 24, 2017, Journey Church in Conway, NH opened their doors and held the first Sunday services in a new facility that took its own lengthy journey to completion. 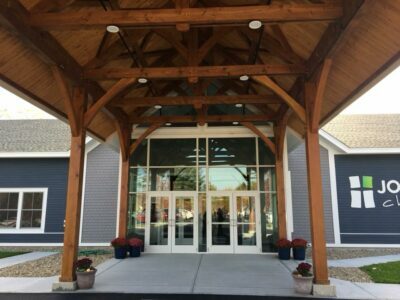 The new building is already a symbol of hope, God’s provision, and a beacon to the community in which it resides. For a congregation that has travelled a tumultuous path through the years, they now share a story where their choices to step out in faith and trust God’s direction has led them to a bright new future. Originally founded as the White Mountain Chapel in the late 1950s, that congregation built the building that housed the church until this recent construction. Years of steady growth followed and in the 1980s, plans to build began again. 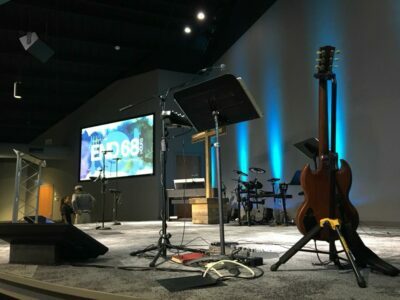 Unfortunately, after the pastor left, those plans were halted and the church faced challenges and eventually a decline that spanned the next two decades. In 2010, the church faced the possibility of having to close its doors for good, or enter a redevelopment effort with the Alliance District. 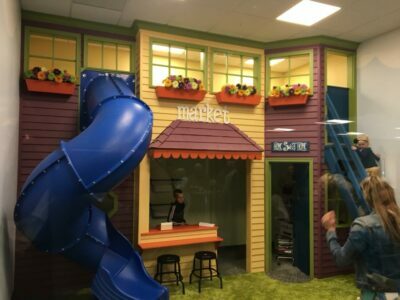 Church leaders made the courageous decision to “re-plant” the ministry under the leadership of Pastor Trevor Skalberg. 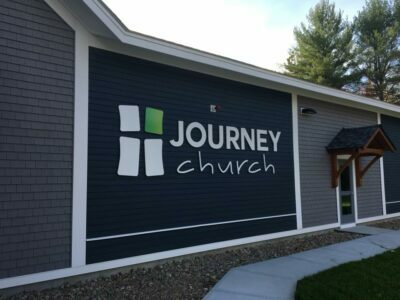 One of the first changes decided upon was to change the name to Journey Church. 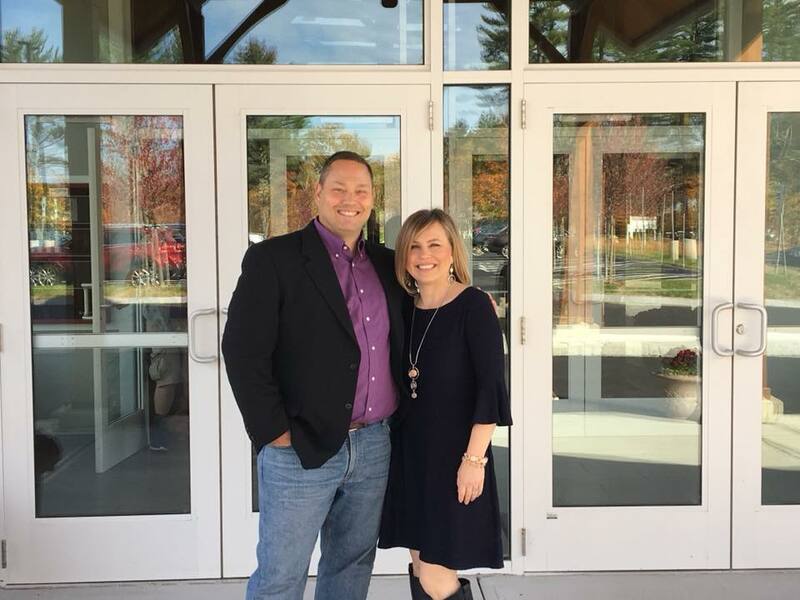 “The name change was really a physical change of something internally that happens to each of us as we grow in our faith,” explained Pastor Trevor. 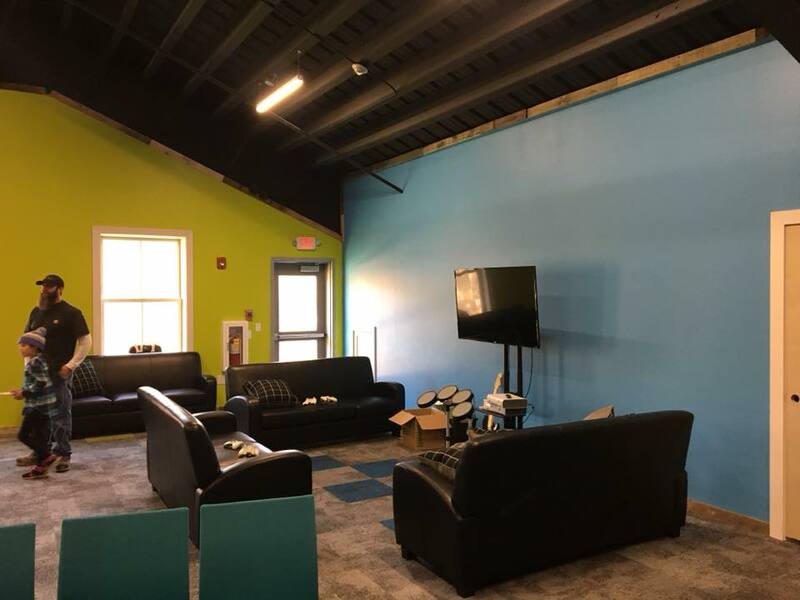 By the summer of 2011, as the new growth and revitalization continued, a youth and worship pastor was added to the staff. And in 2015, the church was fully accredited again and no longer under the redevelopment status. As the church renewal and growth continued, once again, they found themselves out of space. Options to build and add-on to the existing structure or lease another facility in town proved unfeasible. The only path that would fulfill all their needs would be to build an entirely new church building. A piece of land, just a mile down the road from the current location, was perfect and available. Those 8 acres were purchased for $150,000, and amazingly, the church paid off the balance in only 18 months. The next step was designing the building plan itself. 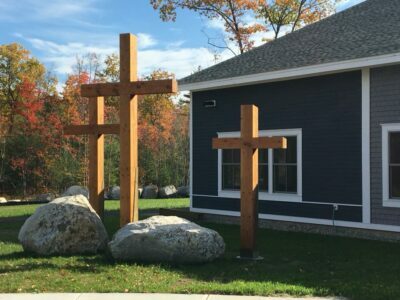 A group of 10 people spent their weekends travelling and visiting other New England churches to gather ideas. 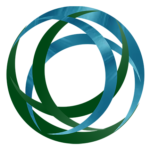 Building God’s Way was also hired to assist with the design. 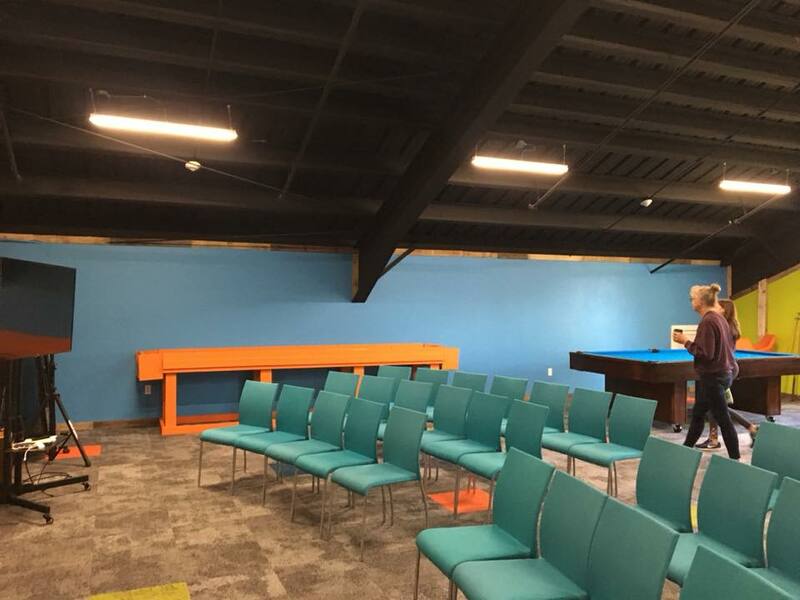 Initially, the church was told they could only financially support a 7000 sq ft structure. Which was, sadly, the same size as the existing building. Finally, a design for a 13,500 sq ft facility, with three phases of development, was completed and the capital campaign and financing phase to support the bigger building project began. Construction broke ground in October 2016, and the foundation and steel building were erected before the harsh New England winter kicked in. “We had one setback,” Trevor told us. “The building was not entirely enclosed when a very cold snap hit and froze the floor before we could pour the concrete. It took three weeks to thaw it out before we could pour the floor.” After that, everything went quickly and smoothly. “As work progressed, we started spending more and more time there,” Trevor continued. “We got to know all of the contractors very well and started working alongside them. Many church members volunteered as we took on portions of the finish work. The last four months, we were there almost every day with groups of people doing drywall, plumbing, painting, carpentry, cleaning, bathrooms, the stage, etc. 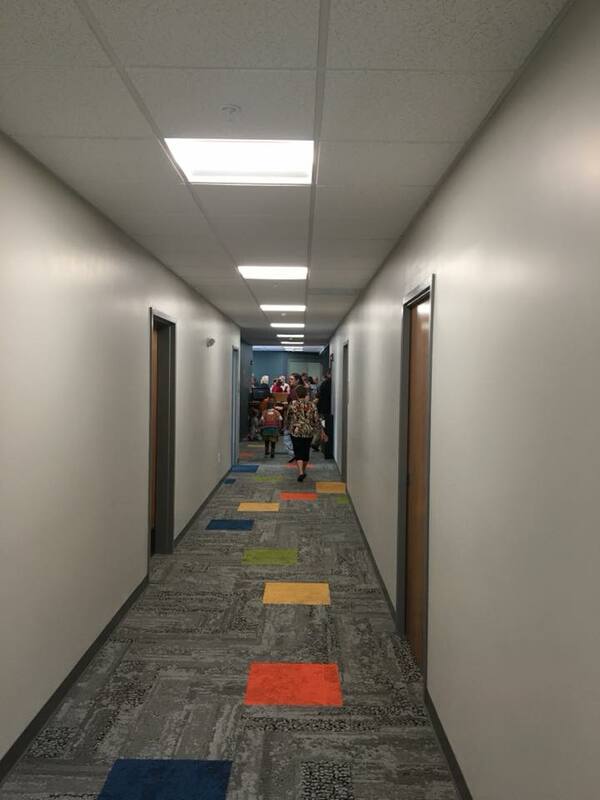 The list goes on.” With the new building being just a mile down the road, it made this group effort significantly more convenient. 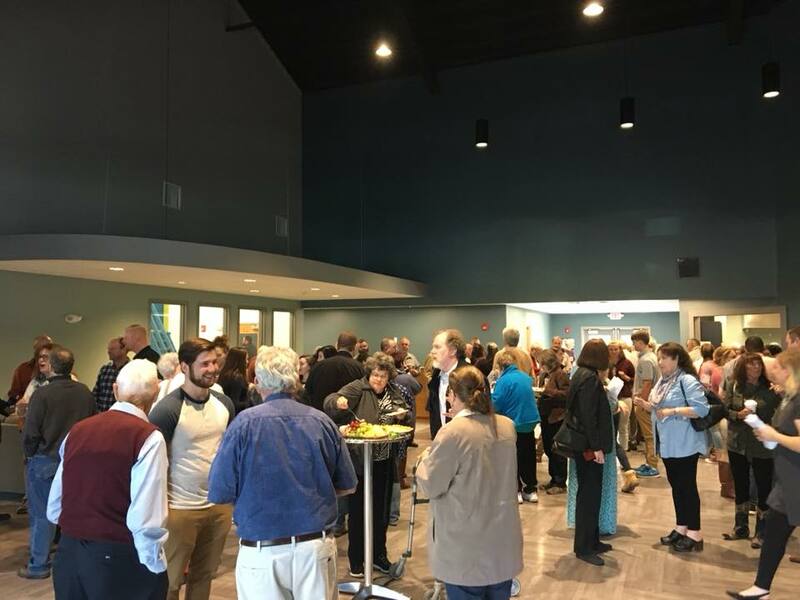 Additionally, with the capacity to seat 300 people, Journey Church is only the second venue in Conway capable of hosting large gatherings. 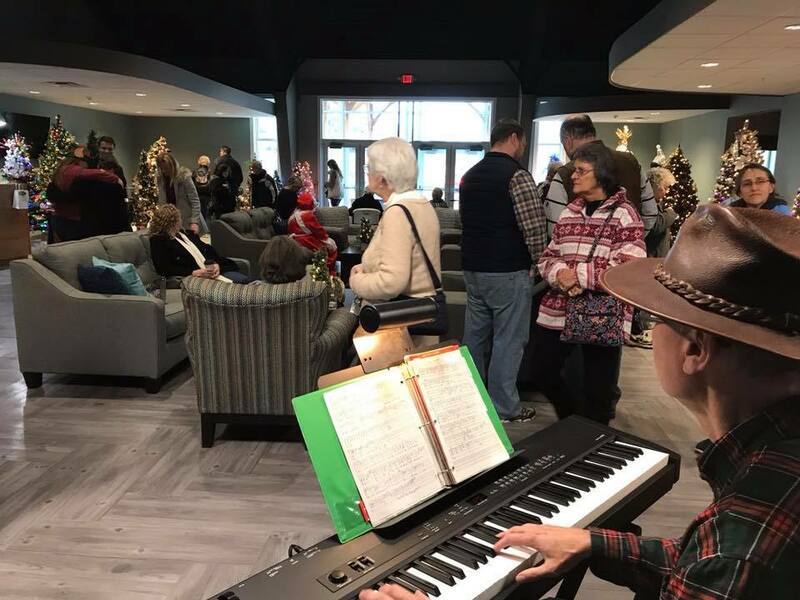 Recently, the church partnered with the town to host their “Festival of Trees” event, which brought more than 1000 people through the doors to experience the winter wonderland of decorated trees. The church also provided refreshments, a concert, story reading and other activities to share the Christmas story with this huge crowd of people. Opportunities like this are shining examples of how God is already using this new building to positively impact the Conway community. 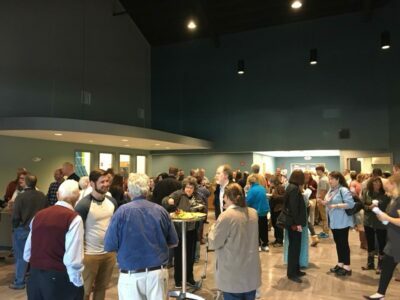 As a district, we are thrilled to witness how God has sparked a revival within Journey Church; and the opening of their new building is proof that their hard work and faith is meeting God’s direction for this community. Enjoy some of the pictures of this fabulous new facility, pray for Pastor Trevor and the leadership team as they continue to guide the growth and development, and if you are in the White Mountains, be sure to stop in and visit and see the brand new space for yourself. You will not be disappointed!